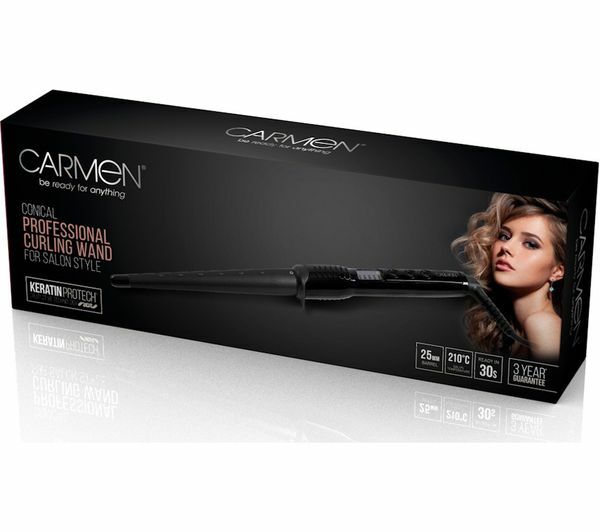 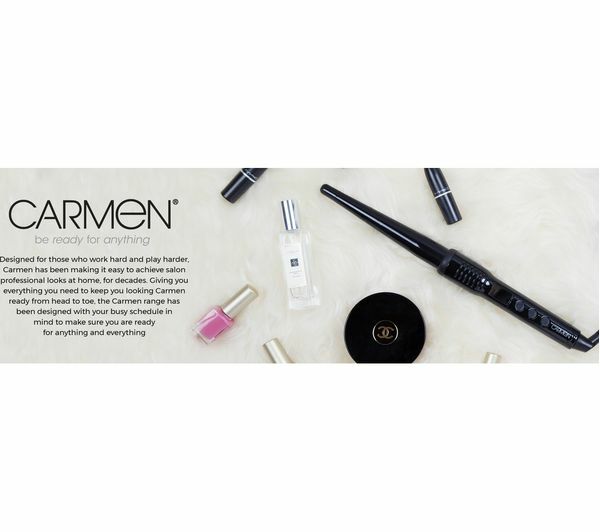 Curl your hair with confidence using the Carmen C81039 Conical Wand Pro. 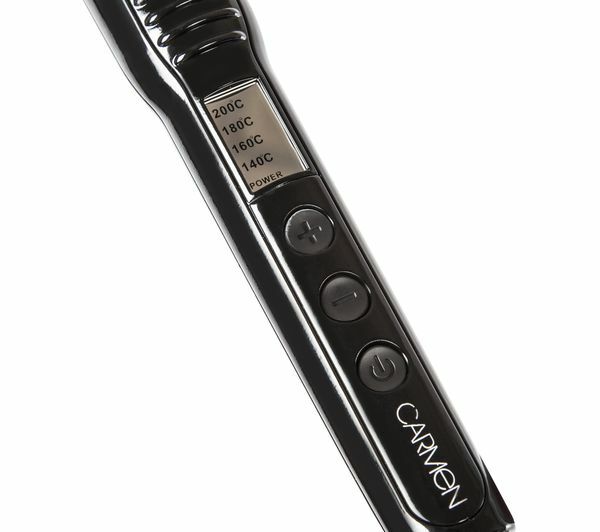 Capable of creating effortless curls and waves, the curling wand has four temperature settings up to 200°C. 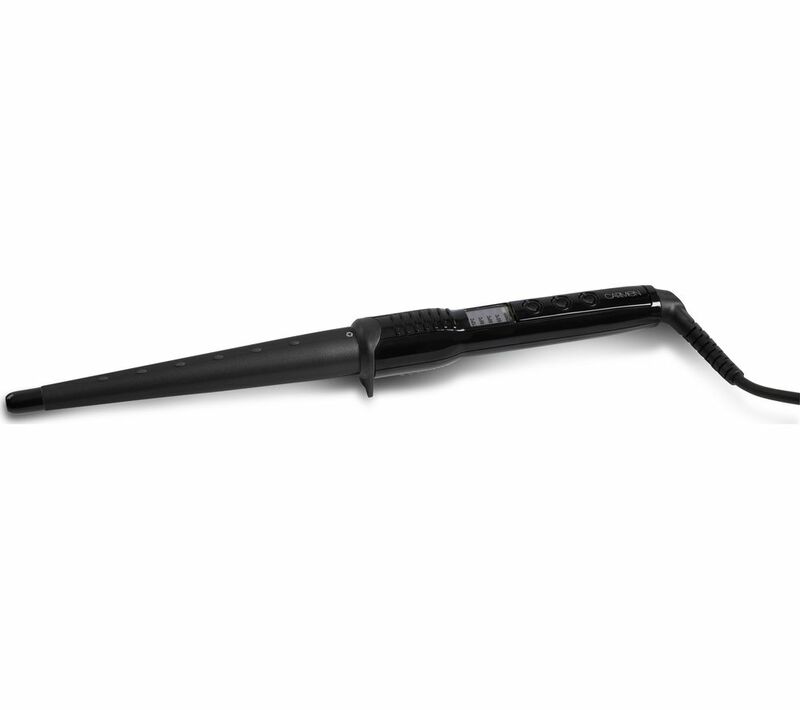 The conical design of the barrel helps to enhance volume and defines curls and waves for a unique look. 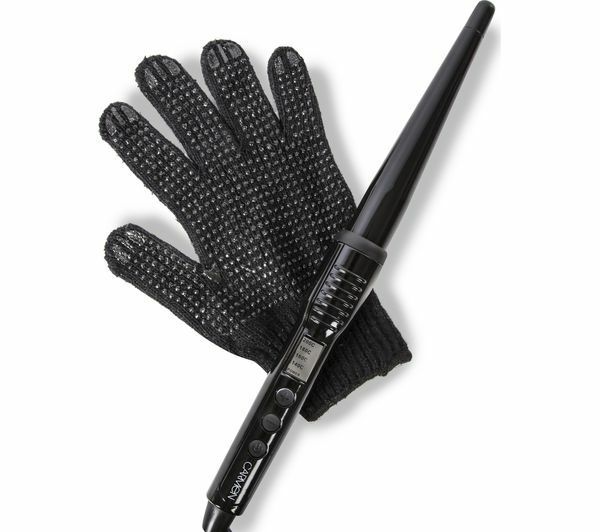 An LED display helps to keep you in control, while the included heat-proof glove keep you safe while styling.